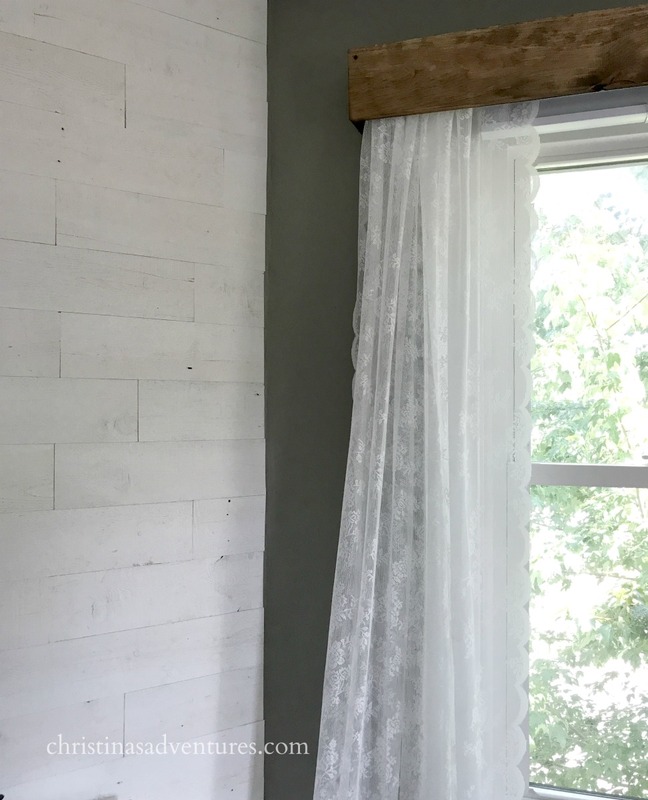 This DIY wood window valance pairs beautifully with lace curtains and adds the perfect elegant but rustic addition to your home decor. This post contains affiliate links – full disclosure here. 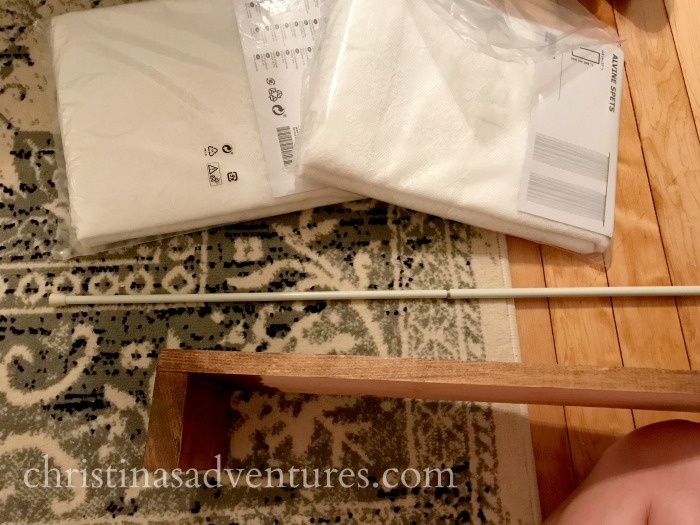 I’ve got great news for you – it’s SO simple and SO inexpensive! I promise, anyone could do this project. And it won’t put a big dent in your wallet at all! 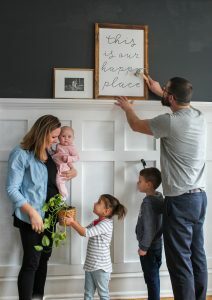 I was inspired by this picture from one of my favorite bloggers, Liz from Love Grows Wild. 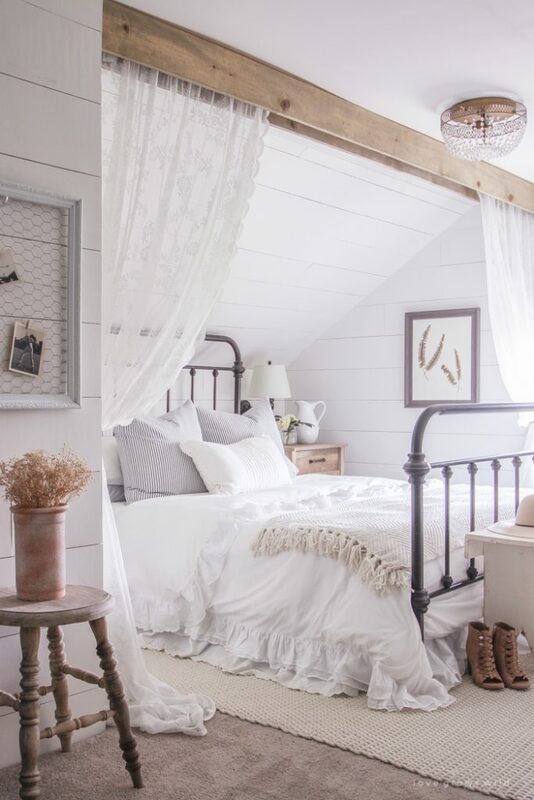 The mix of the rustic wood beam softened with the lace curtains is just stunning. I took the same concept and just transferred it to our windows. It all started because I wanted to cover our blinds. They don’t fit inside our window box, so they awkwardly stick out from our windows, and I wanted to get creative with covering them. I couldn’t be happier with how they turned out! Since I made this project, I learned how to stain wood the RIGHT way. 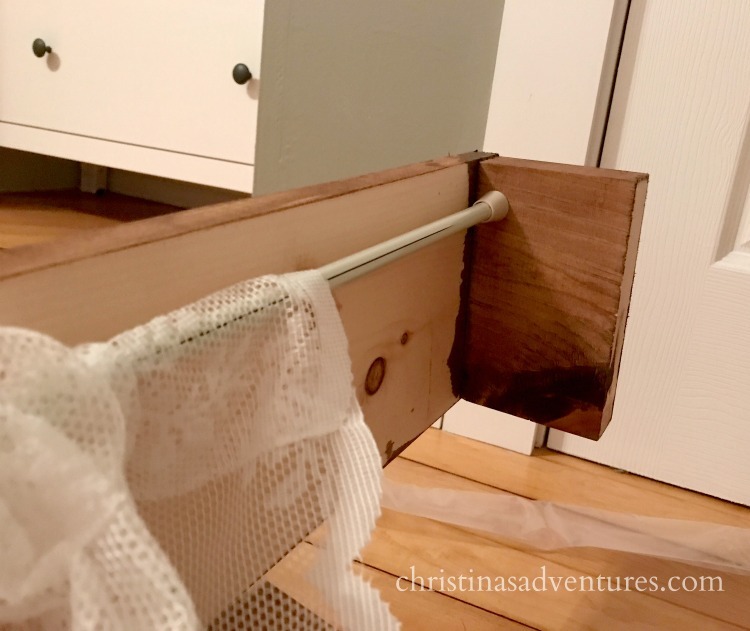 You’ll want to read this post if you want your stain to have a smoother (not splotchy) finish. First – measure it out. I suggest going a few inches TALLER and WIDER than your window frame. This will help your windows appear even bigger than they are. We used 1×6’s (but you could do 1×8’s or even 1×10’s! ), and literally just screwed them together like this (and then stained them). 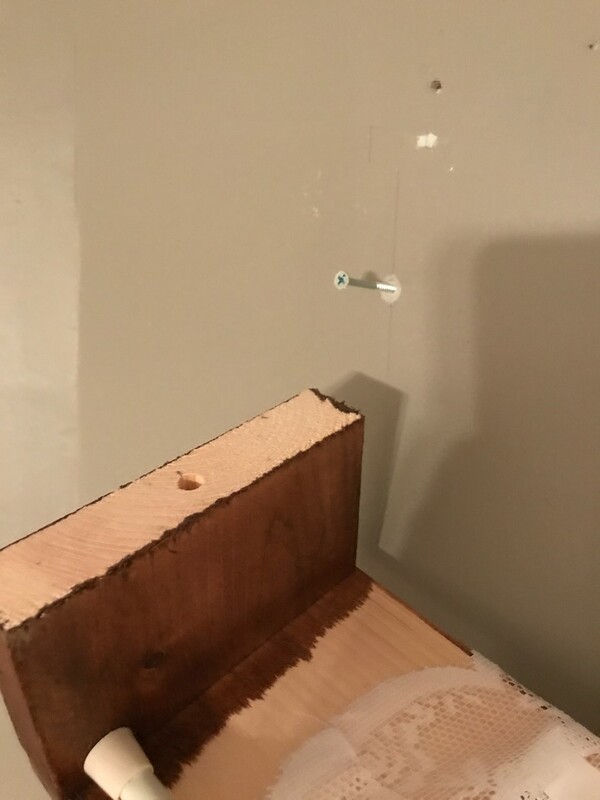 Make sure you pre-drill the holes first so the wood doesn’t split. 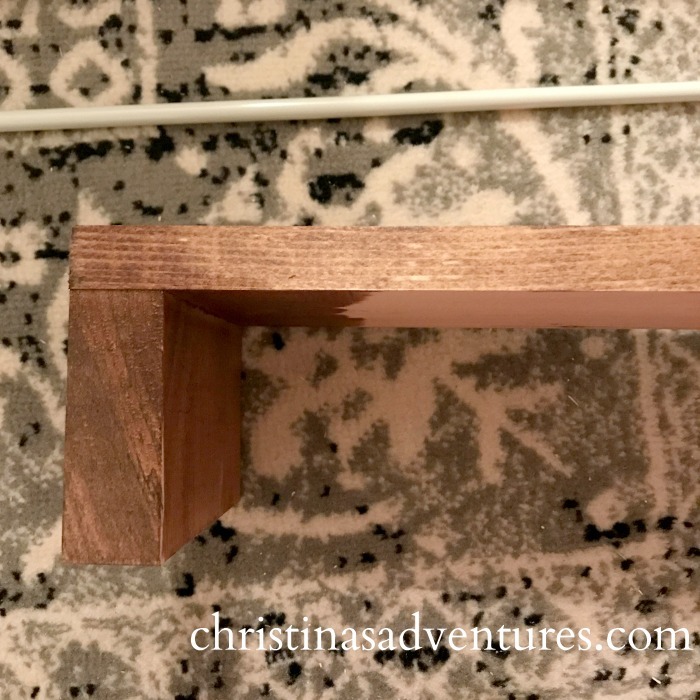 Get a tension curtain rod that fits the width of the inside of your valances. 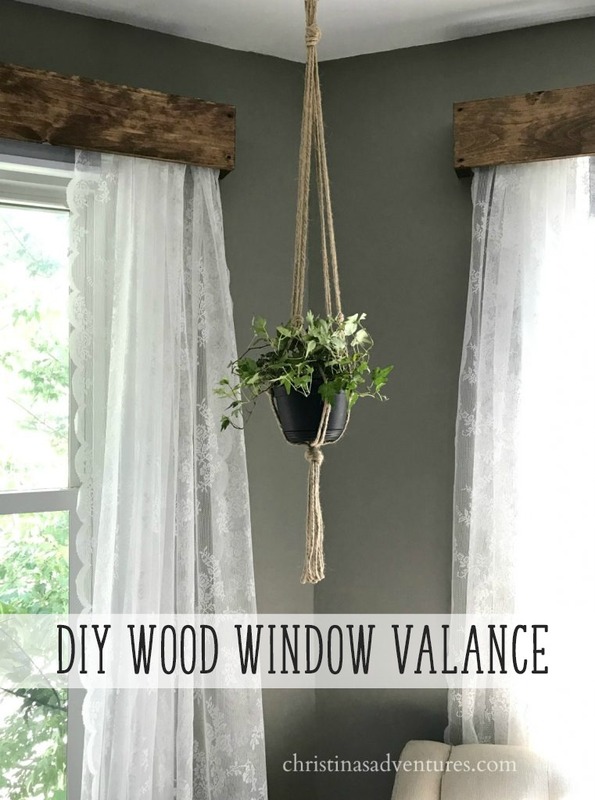 Hang your curtains on that rod, and place it inside of your valance. For 3 windows, this project cost us just about $50 total. 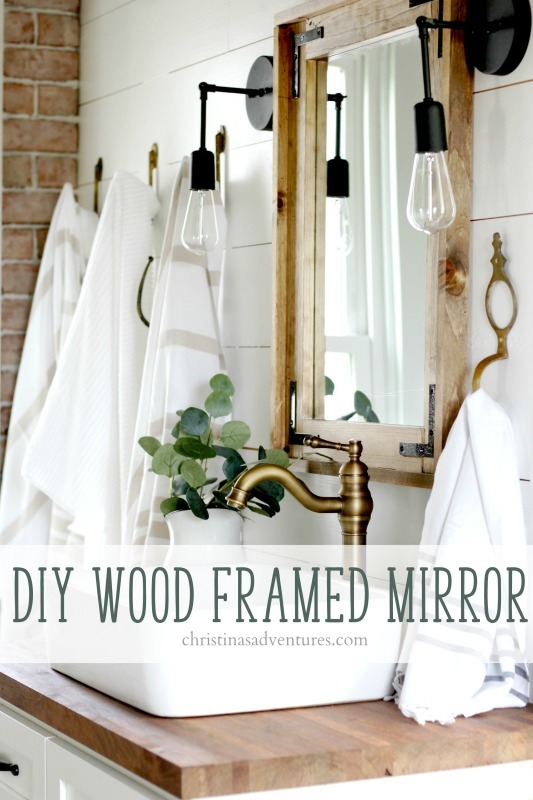 I think that’s a major DIY win! 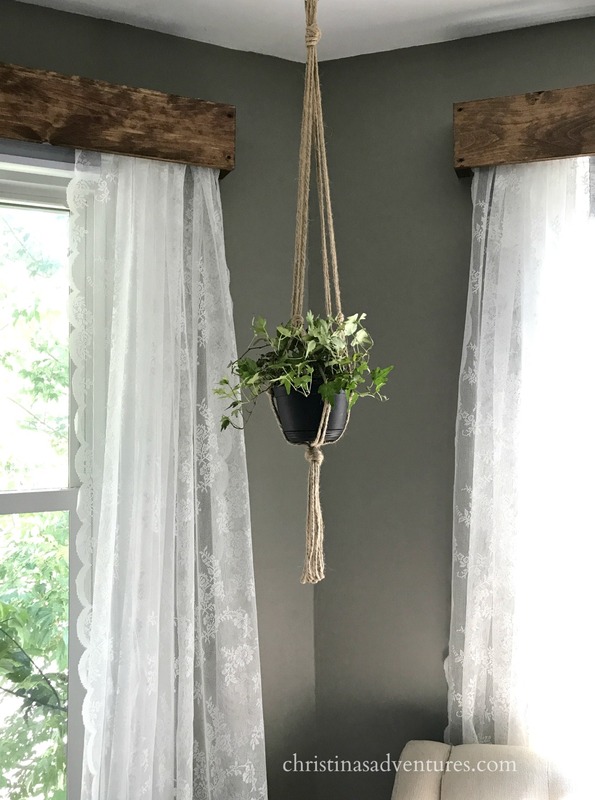 Like this project? Click here to pin it & share it with others! 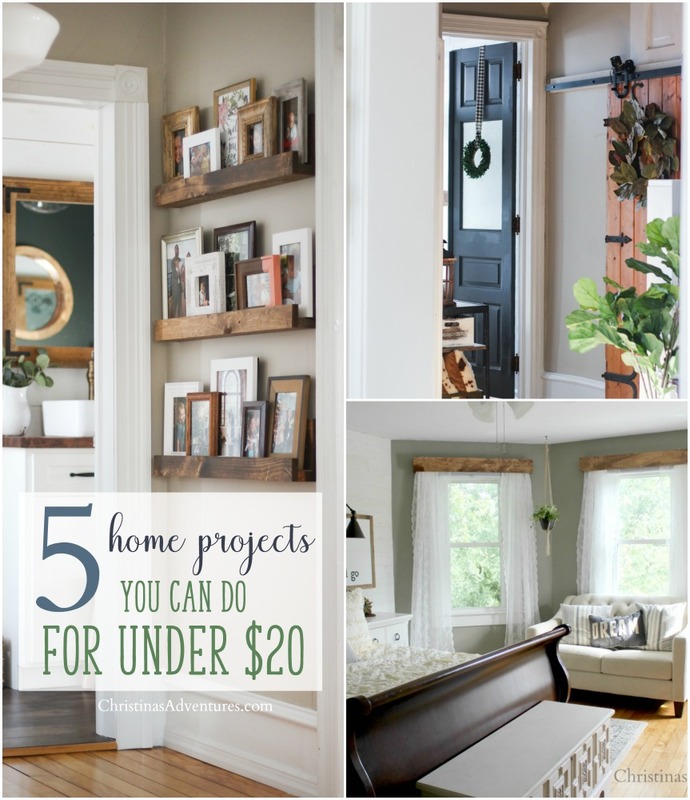 This is also part of this great post – 5 projects you can do in your home for $20 or less – come see the other four here! Christina!! Seriously, this is amazing! & soooooo afforadable!!! 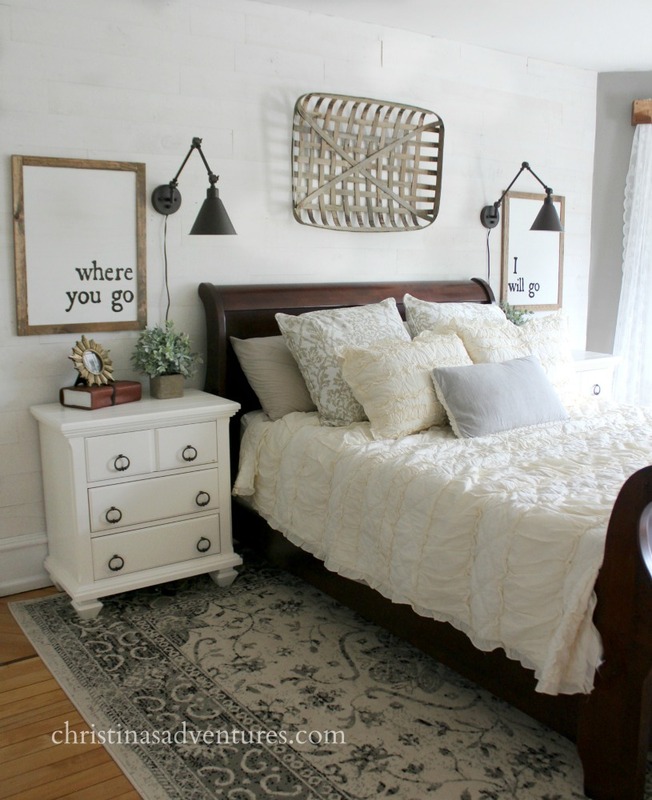 I can’t wait to do this in my bedroom and make a little oasis in our next home! Thank you! 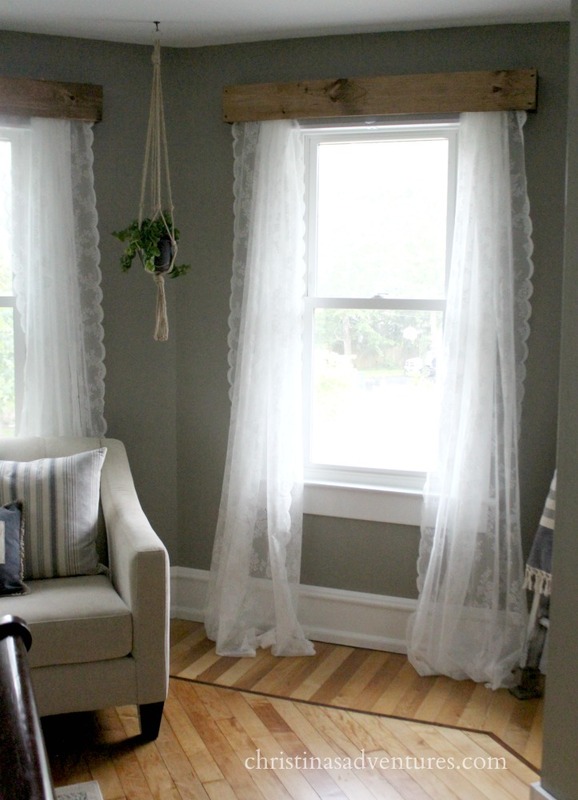 This valance/curtain combination is beautiful! Thank you so much for sharing. I’m going to try to do something similar on my living room window. Hi there! Absolutely love what you did here! Random question, do you happen to recall the name of your wall paint? I am about to paint my living room and love this color! Thank you so much!